Fabric Receipt : Our raw mareials is HDPE/PP Woven lami/ unlami fabric. 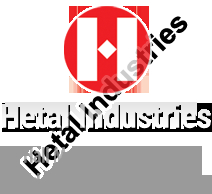 Fabric is procured from market based on the customer requirement i.e. Width, clour, laminated or unlaminated etc. Cutting : Cutting is done based on the length requirement of the customer. 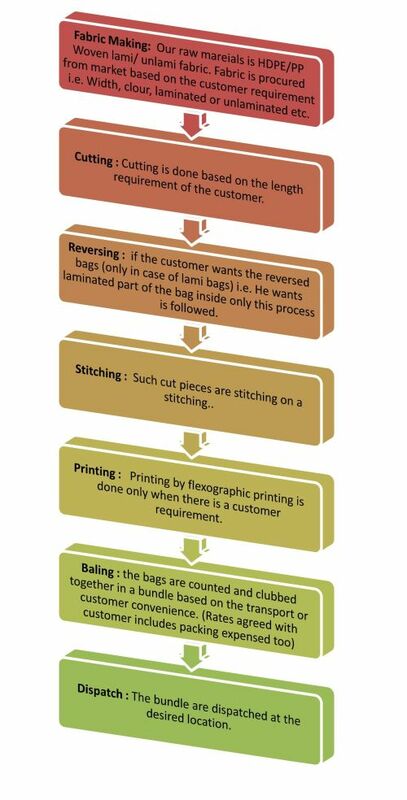 Reversing : if the customer wants the reversed bags (only in case of lami bags) i.e. He wants laminated part of the bag inside only this process is followed. Stitching : Such cut pieces are stitching on a stitching. Printing : Printing by flexographic printing is done only when there is a customer requirement. Dispatch : The bundle are dispatched at the desired location.